Once a teenaged mom, Ronessa “Ronne” Brown defeated the odds by stepping over the stereotypes surrounding her to take her family’s destiny into her own hands. Ronne’s “no excuses” mantra transformed their lives, from being stuck an endless cycle of “jobs” to becoming a millionaire—all by teaching herself how to monetize Instagram. 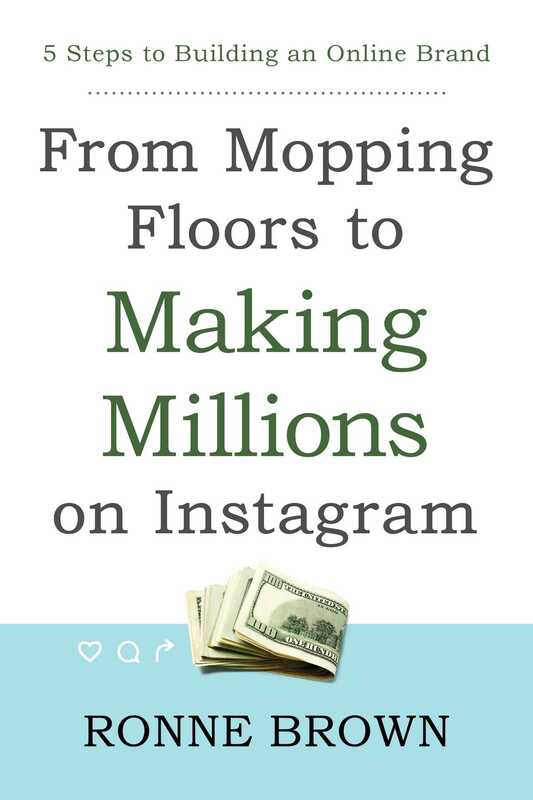 From Mopping Floors to Making Millions on Instagram is an easy-to-follow guide with real-life case studies that Ronne has used to coach more than 15,000 online marketers all over the world. It includes details about the three brands that Ronne personally built on Instagram using these strategies and examples of what to post and how to post it. Ronne reveals the secrets behind her personal brand, which generated over $500k in revenue within its first year selling beauty and lifestyle products online. Ronne knows your past does not determine your future—so are you ready to change your life?